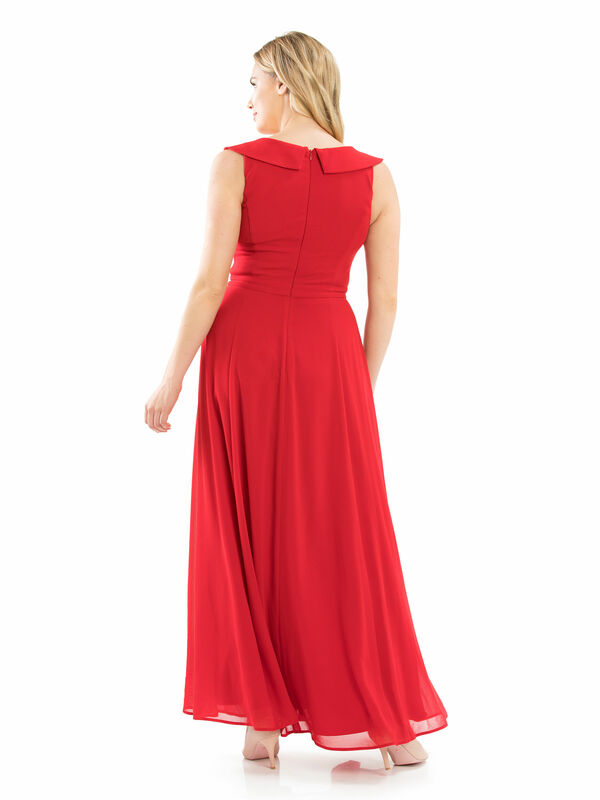 Valley Of Dreams Maxi Dress https://www.review-australia.com/au/valley-of-dreams-maxi-dress-red/RE19DR053.RERED001.html For simplicity that speaks volumes, look to the elegant Valley of Dreams Maxi Dress. Refined yet sultry, this full length dress is crafted from heavy weight stretch crepe with a floor length georgette overlay skirt. Flattering and versatile, this maxi dress has a deep v-neckline framed with a crossover panels that extend up to the shoulders. 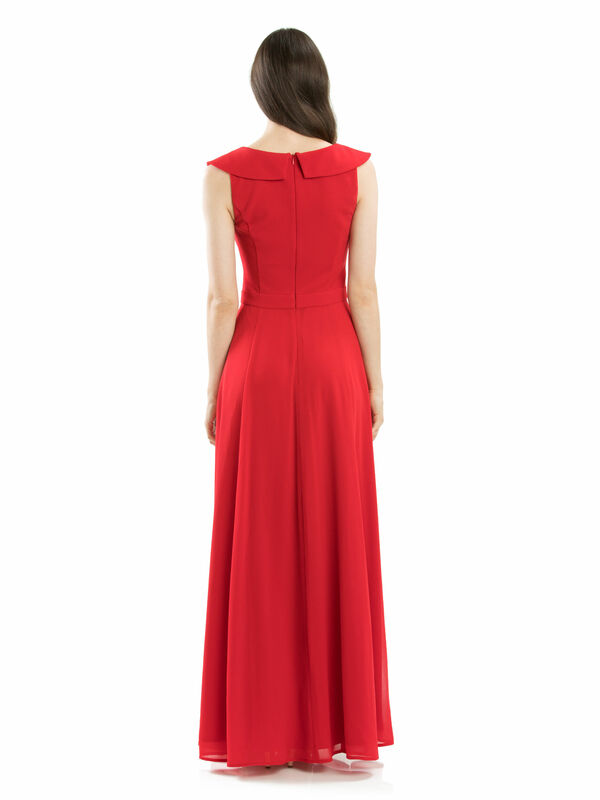 The dress fastens with a concealed back zip. 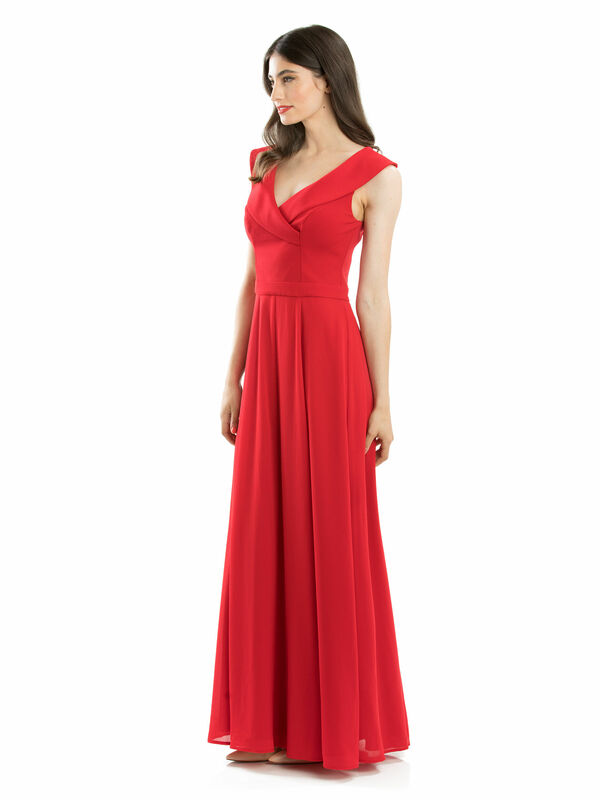 For simplicity that speaks volumes, look to the elegant Valley of Dreams Maxi Dress. 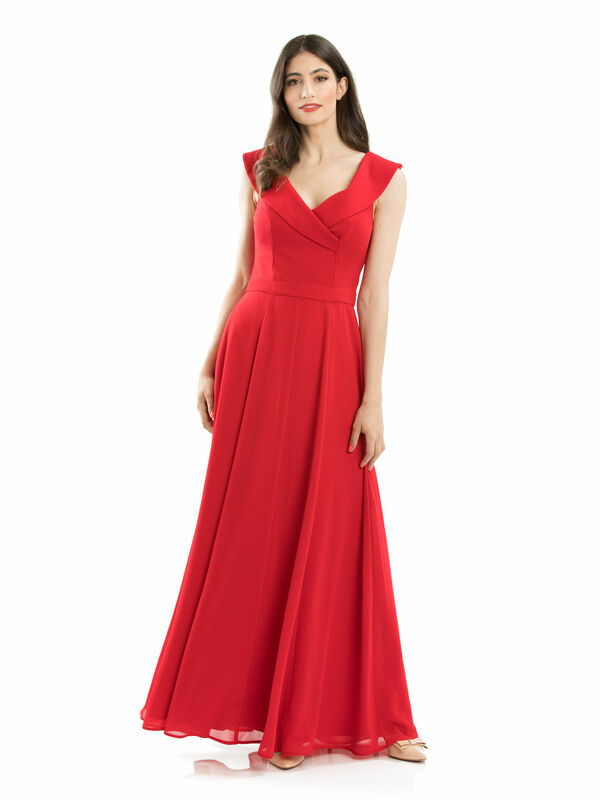 Refined yet sultry, this full length dress is crafted from heavy weight stretch crepe with a floor length georgette overlay skirt. Flattering and versatile, this maxi dress has a deep v-neckline framed with a crossover panels that extend up to the shoulders. The dress fastens with a concealed back zip. Valley Of Dreams Maxi Dress is rated 5.0 out of 5 by 43. Rated 5 out of 5 by maddi5389 from Everything I was looking for in my wedding dress! I went looking for a black wedding dress and searched high and low for something that had all the features I was looking for. The Valley of Dreams Maxi dress provided everything I knew I wanted and SO MUCH MORE! I felt my breasts were securely housed whilst still looking feminine with the v-neckline, the shoulders were HUGELY flattering, the zip all the way up to the back helped me feel secure and saved straps cutting into my skin, the waist cinched in perfectly, the armholes were wide enough to be extremely comfortable and the size was absolutely true to measure. Rated 5 out of 5 by SallyA from Elegant Design I brought this gown for an awards event earlier this month, with the event being black tie optional. The dress was elegant yet understated and suited the dress code perfectly. Being classic black, and a design that is elegant and timeless I felt confident and appropriately dressed for the occasion. I will certainly be wearing the dress to many more events due to its dynamic design and ability to tailor accessories to the occasion to make it a new look each time. Rated 5 out of 5 by Lady Train from The perfect dress Picked up this dress for a family wedding and I got compliments all evening (even the bartender thought I looked great ;) ). Honestly I can’t praise this highly enough, it has a great length, was super comfortable and it didn’t wrinkle at all. I picked it up off the floor the next morning, and it looked ready to go another round. Rated 5 out of 5 by Trisha 33 from beautiful elegance I love the way this dress fits. I feel like it was made just for me. It is perfectly weighted to create the softest swish as you walk. Pure elegance. I love this dress so much I now own it in both colours. Firstly I bought it in Black and I have just purchased it in red. Both spectacular! Rated 5 out of 5 by Nezzie from Great simple dress I am so happy i found a plain black dress thats style womt date. I love the little bits on the inside of shoulders to hold the bra strap out of sight it makes wearing the dress even better. It fits perfectly and sits the same as on the model. Rated 5 out of 5 by Sarah6 from Love it!!! I was initially hesitant about the material for the bodice of this dress, however upon trying it on, it wasn't an issue. Wore it to an event and it was so comfortable. It's a classic style which is a great addition to anyone's wardrobe. Rated 5 out of 5 by MichelleM from Flattery neckline & overall style I bought this dress for a black tie event. I fell in love the second I tried it on, I didn’t have to shop around because it fit perfectly. Great neck line & falls to the floor & gives me body a perfect shape. Would highly recommend it!